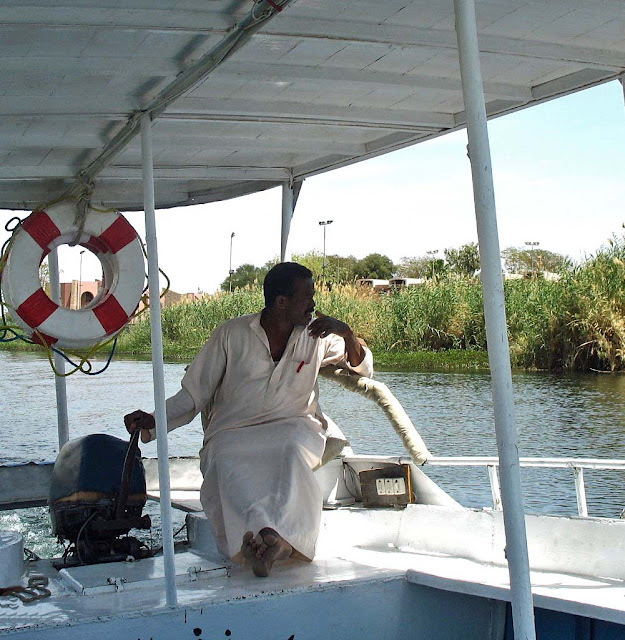 This is a photo of a boatman who ferries tourists to a Nubian village. He is wearing the traditional Arab dress. People from Nubia, although Egyptians, are generally of a darker skin colour that Egyptians from the North and look more like Africans from the continent. Nubians live in southern Egypt and northern Sudan. Related Images: Fishing at Esna Lock in Egypt, or Canoes on the river Hooghly or Man ferrying cycle in canoe in China or Two boatmen in a canoe in the ocean in India.